We stayed here for one night while visiting the southern Tucson area. This place is close to the Mission San Xavier del Bac. It seems to cater to snowbirds and seasonal campers. There are also lots of permanent park model trailers. Its a well maintained place. The sites are level and on pea stone or concrete pads. There are full hook ups. The bath and laundry are clean and well maintained. There is an in door pool and rec facility. 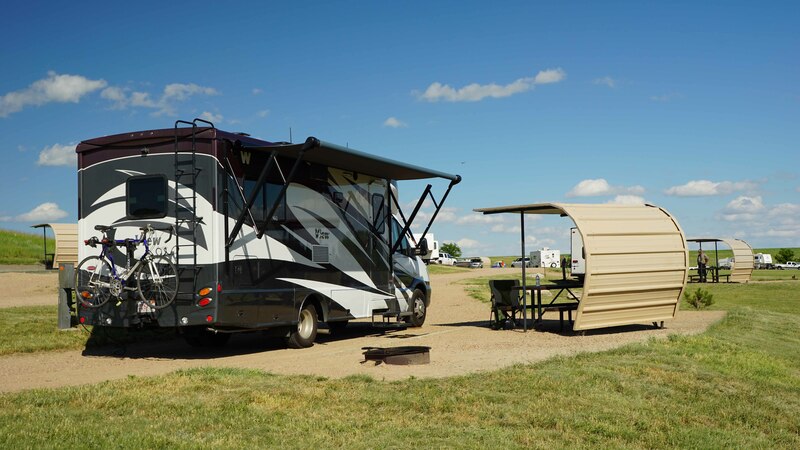 Sites are close together like most RV parks. I stayed here for three nights while visiting Las Vegas. The campground is right next to Sams Town. The sites have full hook ups and are close together. The sites hook-ups are on pedestals that are shared between adjacent sites so one side has to back in and the other pull in. The sewer connection is funky and creates an odor since its open and not a tight connection. This is why I gave it only 3 stars. The spaces are close together but its a good location and Sam's has a shuttle to the strip. There is a pool and the bath and laundry facilities are nice and well maintained. I stayed here for 3 nights while visiting the Dodge City area. Sites had full hook ups and cable. Sites are level and crushed stone with grass between sites. They have a store, laundry, and pool. Bath house was well maintained and very clean. It was a good place to stay and I would stay there again. I stayed here for an overnight stop while traveling cross country. I thought it was a very nice and well maintained campground. Bath house and laundry were exceptionally clean and very modern. Sites were level, had full hook-ups, with cable TV and wifi. Sites were a little close together but this place worked well for an overnight stop. I would stay here again. What a nice place to stay. A beautiful campground overlooking Melvern Lake. Built by the Corp of Engineers. Sites are paved. Several have water and electricity. Sites are well spaced. There is a dump station. We stayed there on a cross country road trip in a motorhome. Have stayed here a couple of times on cross country road trips. About 10 miles north of I-70 near Columbia, MO. Its a small campground. Some sites may not be level. We stayed on one with electricity water hook ups. There is a dump station. Bath house is basic with 3-4 showers. Its quiet and reasonable to stay here. Stayed here for an overnight while passing through on I-40. Very close to Winslow, AZ if you want to stand on a corner. Camping is out in open, no shade, but sites are paved and level, and its a very pretty setting. Most sites have electricity and water. Bath house is very good. There is a dump station. 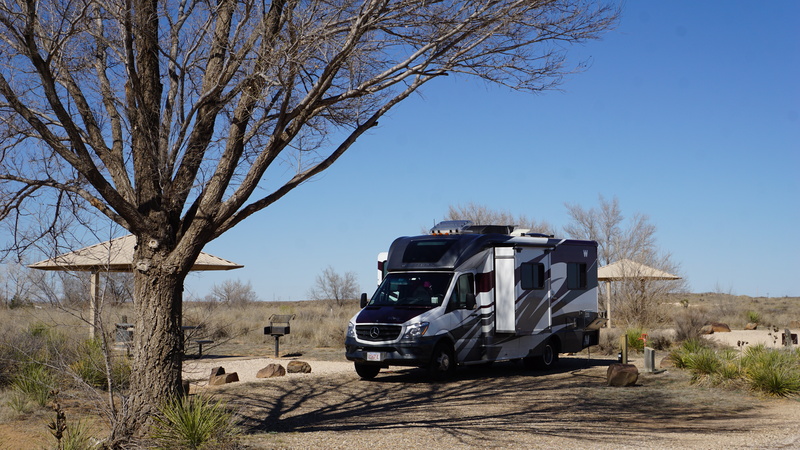 I stayed at La Paz County RV Park for two days while on a cross country road trip. I was planning to stay in Quartzite but am so glad I drove up to the Parker strip and stayed on the river. Its is so much cooler on the river. The county runs part of this property and leases out another portion to a commercial campground. Some sites have hook ups (water and elec) and some just water. Bath houses are basic and ok. I would have given it 4 stars if the bath house was in better shape. Location is excellent. There are a couple of dump stations. The key thing here is location to the river. There's a few RV parks up the river and towards Lake Havasu but this is a very reasonable place to stay. 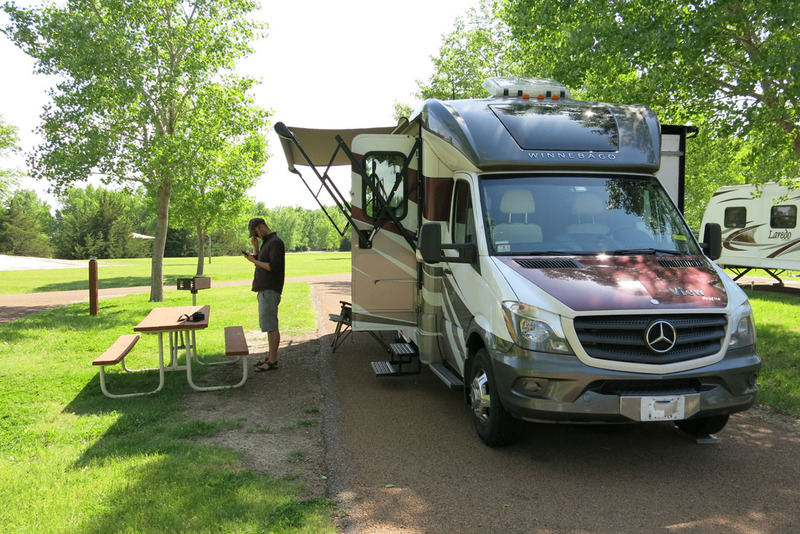 We stayed a night at Roadrunner RV Park while on a cross country RV trip. The staff was very helpful and accommodating. Sites are level and some with concrete pads. Sites have full hook ups. Everything is well maintained in this RV park. They have a nice rec room for functions. There's a good restaurant right across the street. Wish I would have stayed longer. We stayed at Hacienda RV Resort for 2 days while visiting the Las Cruces area. 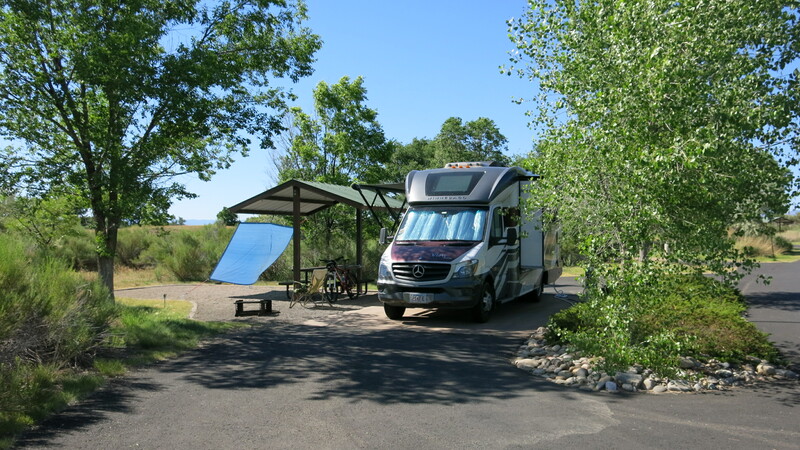 We chose this RV park because we wanted to be close to Old Mesilla. It was nice enough as an RV park. Its intended for RV's vs tenting. Sites are pea stone and level with full hook ups. Bath house is very nice with a sitting area, store, and laundry. It was hot and windy while we were there. We visited Old Mesilla and White Sands from this area. I would stay here again.